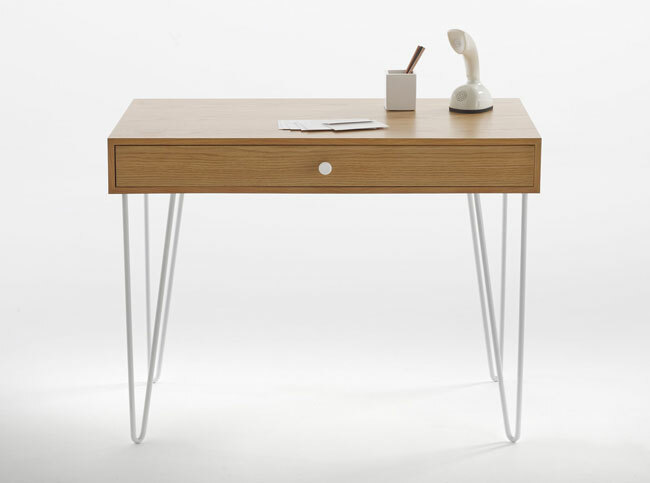 If you are currently kitting out a home office in a retro style, do check out this Adza one-drawer vintage desk at La Redoute. Quite a simple design and all the better for that. 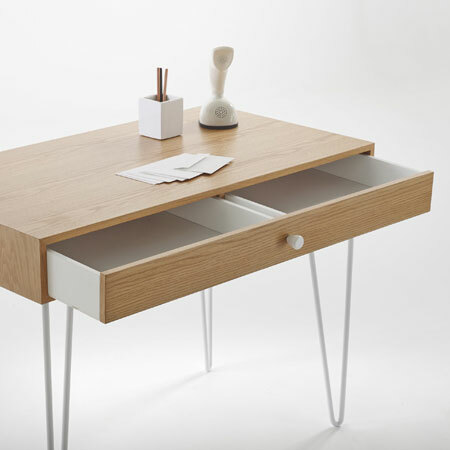 A good amount of desk space, one large drawer with two compartments and metal hairpin legs. That’s pretty much it. Specifically, this has an oak veneer MDF cabinet with a nitrocellulose varnish finish, with a lacquered finish for those legs. £185 is the price for this one. 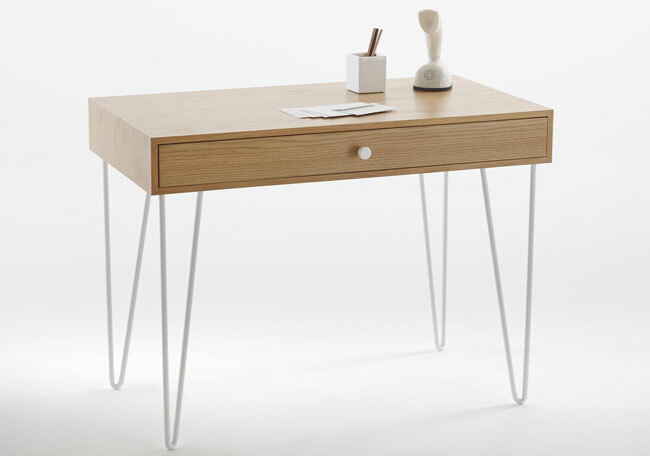 If you want wooden legs, do check out the similar Jimi desk from the same retailer, which is currently in the sale at £86.25.